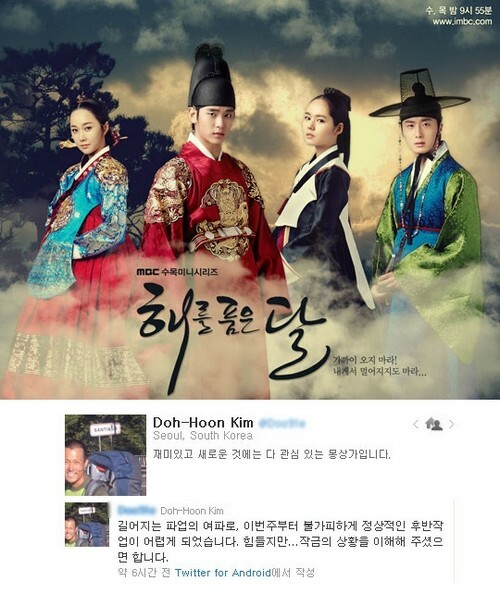 The PD of MBC Wednesday and Thursday drama series The Moon that Embraces the Sun, Kim Doh Hoon, has expressed the difficulties due to aftermath of labor union strike at MBC. The three-week strike has affected the airing of MBC’s programs such as ‘Infinite Challenge’ and ‘We Got Married,’ there is concern that The Moon Embracing the Sun will be affected as well. Including the broadcast on February 22nd, 2012, The Moon Embracing the Sun has 6 more remaining episodes.